SELF-DRIVING CARS may still be little bit away from mainstream use but many people can already foresee the difference they will make to how we travel. And one of those differences may be… no more school runs. Back in November of this year, Ford Motor Company commissioned a mobility survey and 5,000 respondents from France, Germany, Norway, Spain and the UK revealed how they would pass their time in self-driving cars. Top of the list with four out of five respondents was just relaxing and enjoying the view. Also high on the list was having a chinwag as 72 per cent said they would chat on the phone. Eating whilst the car does the driving is something 64 per cent are looking forward to followed by reading books and watching movies. Rather surprisingly and possibly worryingly, 16 per cent of respondents said they would let their kids travel alone! Could self-driving cars spell the end of the school-run? The survey ties in with Ford’s recent announcement that European testing of autonomous cars will start in 2017. People are really beginning to think about exactly what autonomous vehicles could mean to their day-to-day lives. Many of us neglect time for ourselves and for our loved ones in the face of other demands. Self-driving cars will revolutionise the way we live, as well as the way we travel. 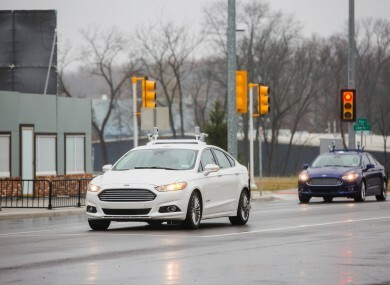 Survey respondents also showed a preference for autonomous vehicles over traditional cars when it comes to going out for drinks and commuting and nearly half thought driverless cars would be safer. On average, European drivers spend up to ten days a year in their vehicles and previous research shows that people in major cities find their commute more stressful than their job. Email “One in six people would let their kids use a self-driving car”. Feedback on “One in six people would let their kids use a self-driving car”.